Using Perler beads to create artistic patterns are quite common these days, and while we all have used many building blocks and other such products to create geekish representations, Perler beads seem to be the new rage. 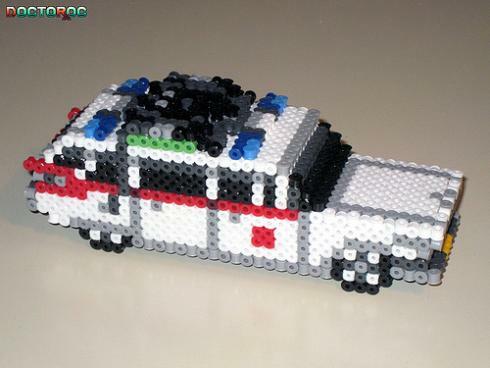 Doctor Octoroc has created some amazing Perler bead sprites of vehicles from various comics and games. Talking about vehicles from games and comics, we must quite accept that each one has an individual characteristic that makes it quite special. Most of these vehicles have been successfully and unsuccessfully created in real using all the automotive parts. However, creating them using Perler beads seems to be the easiest thing to do, though it requires deftness and practice with these beads. The beads can be quite fun and if you are imaginative enough, you could create a number of patterns on various themes. 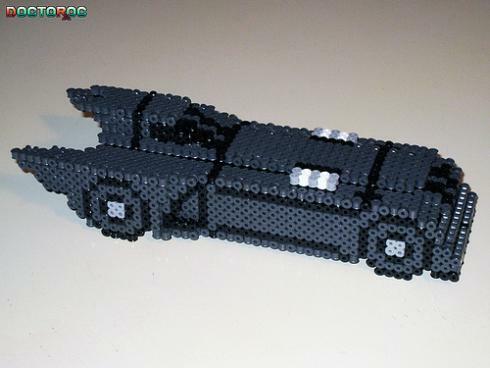 These cool Perler vehicles which are inspired from video games and comics are certainly something that all geeks would love to possess. A Team is one of the most famous American action adventure TV series about soldiers who run from a crime they did not commit. 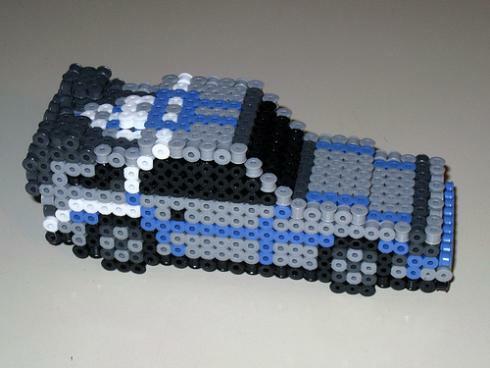 The vehicle used in the series has been beautifully created using Perler beads. General Lee from The Dukes of the Hazzard refers to the amazing TV Show and the mission based racing game, which was released on the PS2 and also on the Xbox. 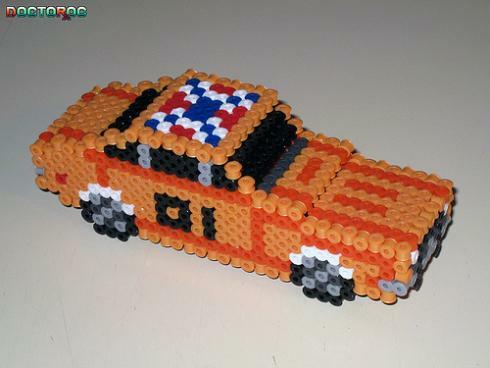 Here is a cool Perler representation of the General Lee vehicle. Batmobile is the vehicle that is recurrently seen in Batman series. 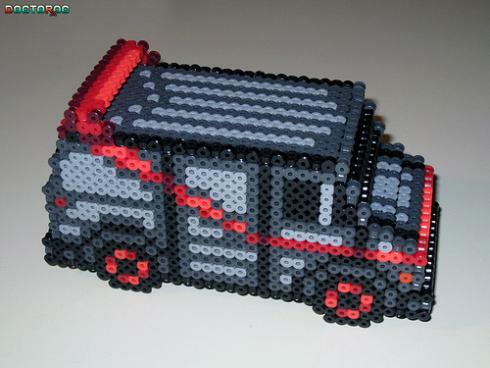 Here is a cool Perler bead representation of the dark vehicle. Ecto 1 is a cool vehicle from the Ghostbusters, which is a popular supernatural comedy. This vehicle looks even more comical when it is represented through beads! Mystery Machine from Scooby Doo has held the imagination of many kids of different generations for decades. 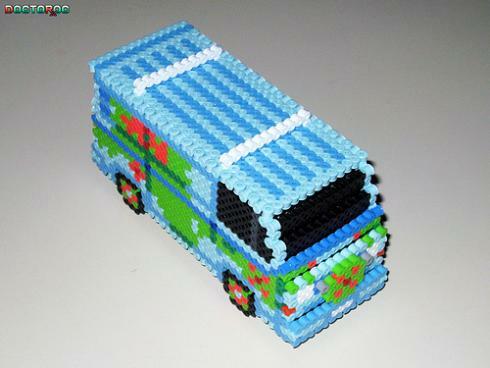 This cool 3-D bead Sprite of the Mystery Machine looks amazingly cool! Teenage Mutant Ninja Turtles are always having fun, and the party van does not seem to stop rolling ever! 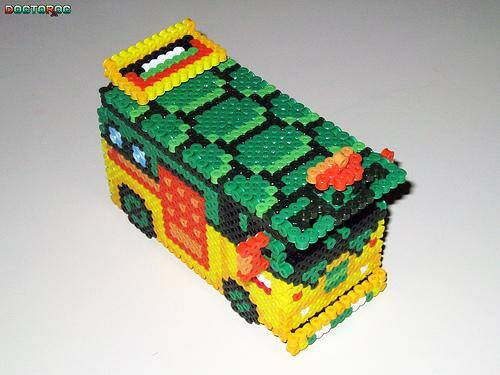 Here is a cool TMNT Party Van recreated using the Perler beads. If you have played the Speed Racer, you would certainly know about the Mach 5 vehicle. 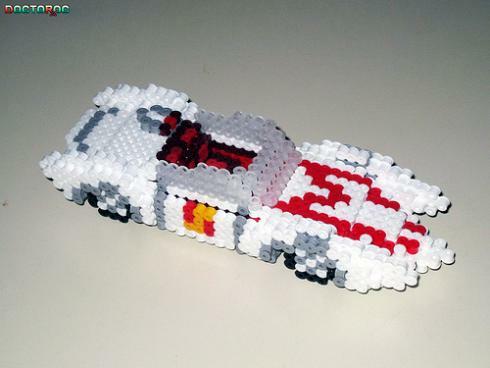 The fiery Mach 5 has been recreated using Perler beads as well, and the colors look amazing! De Lorean is one of the cooler vehicles from Back to the Future Movies. This Perler bead representation of the same looks delicate, and attractive. Perler beads can be quite inspirational, and you should take these vehicles as something that would drive you to create cooler Perler beads inspired art works which would be enjoyed by geeks and non-geeks alike. Where can I find these patterns?